 Cable Protection – These animal cable protectors can be well attached to the charging cable to prevent ”Turtle Neck”, which not only makes charging more secure, but also extends the life of the charging cable. 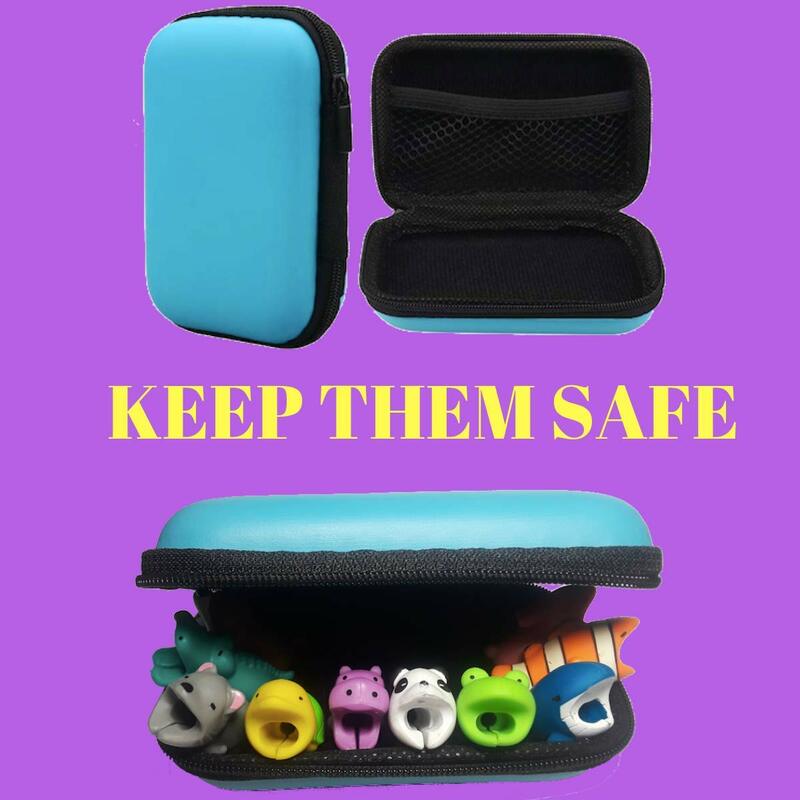  Premium Quality — 10 + 1 (blue pouch) cute cable protector biters, made of high quality ATBC-PVC plastic, will not disappoint you, biting their way into your heart. Clownfish + Whale + Hippo + Panda + Rabbit + Dog + Frog + Mouse + Turtle + Crocodile animal bites. 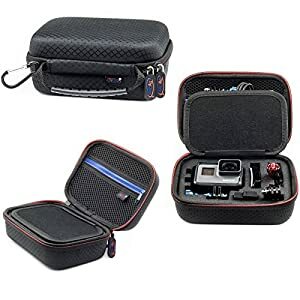  Phone Charms — Protecting and decorating your data lines, these cable seals and saver protectors can also sort out various data lines on your desktop very well, you can easily find the biter you need. 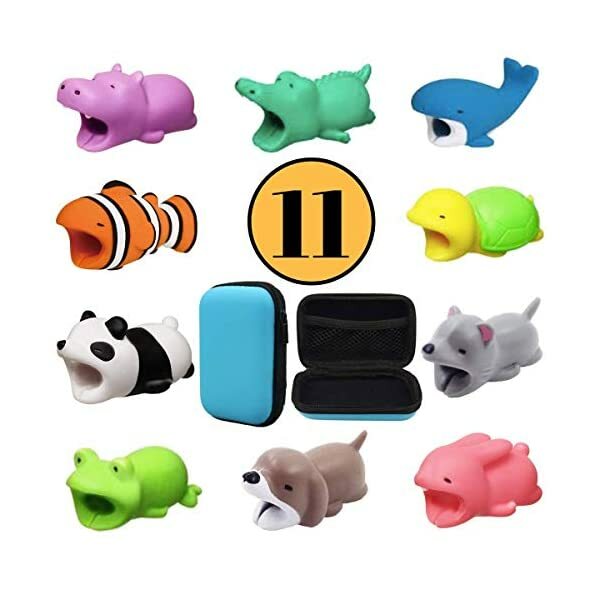 These cute cable buddies make the best animal phone accessories to attach as a phone cord or charger protector. SATISFACTION GUARANTEED – You are guaranteed to have a great time with these cable buddies, or your money back! Even if our cable protectors are durable animal bites, they are not completely indestructible, so rest assured that we chose to use the safest adhesives & materials to be had as opposed to the strongest. Not associated with cable bite.  Cable Protection – These animal cable protectors can also be well attached to the charging cable to prevent ”Turtle Neck”, which not only makes charging more safe, but also extends the life of the charging cable. 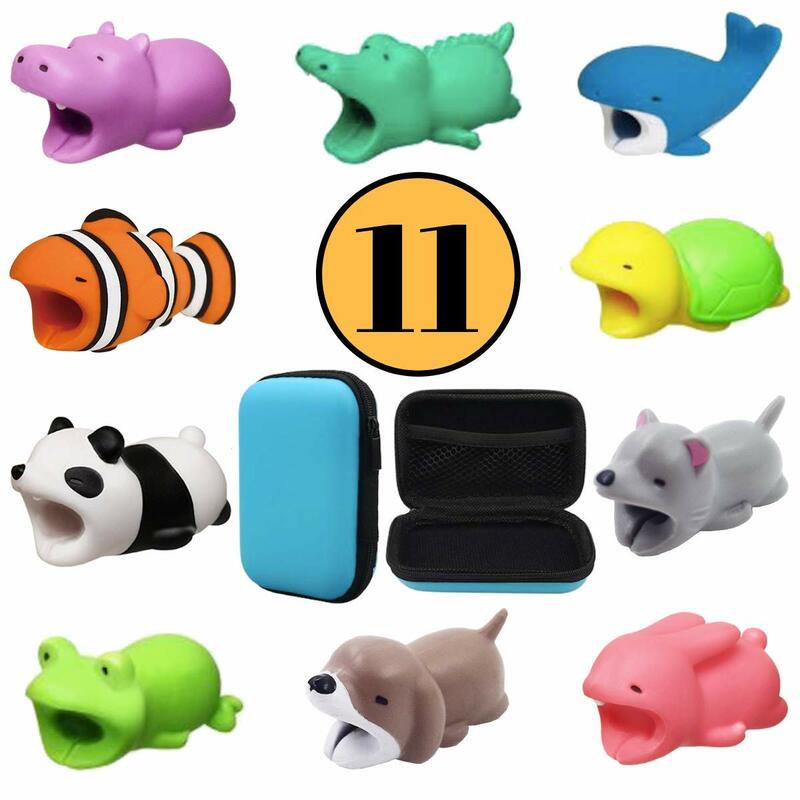  Premium Quality — 10 + 1 (blue pouch) cute cable protector biters, made of prime quality ATBC-PVC plastic, will not disappoint you, biting their way into your heart. Clownfish + Whale + Hippo + Panda + Rabbit + Dog + Frog + Mouse + Turtle + Crocodile animal bites. 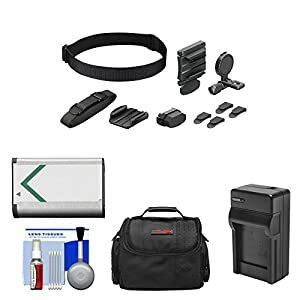  Phone Charms — Protecting and decorating your data lines, these cable seals and saver protectors can also sort out quite a lot of data lines on your desktop very well, you’ll easily find the biter you want. 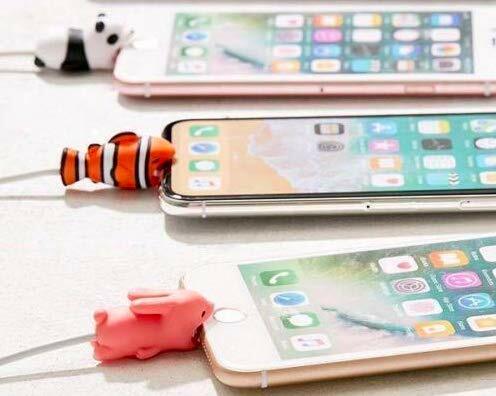 These cute cable buddies make the most productive animal phone accessories to attach as a phone cord or charger protector. 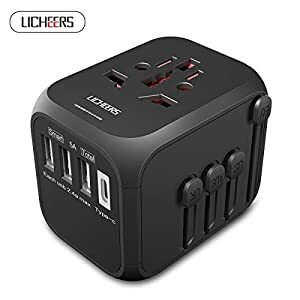  Widely Used — These bites are compatible with most phone charging cables cords, perfectly fit for your apple iphone charger / a charging macbook charger protector or apple mouse with cord.  SATISFACTION GUARANTEED-You are guaranteed to have a great time with these cable buddies, or your money back! 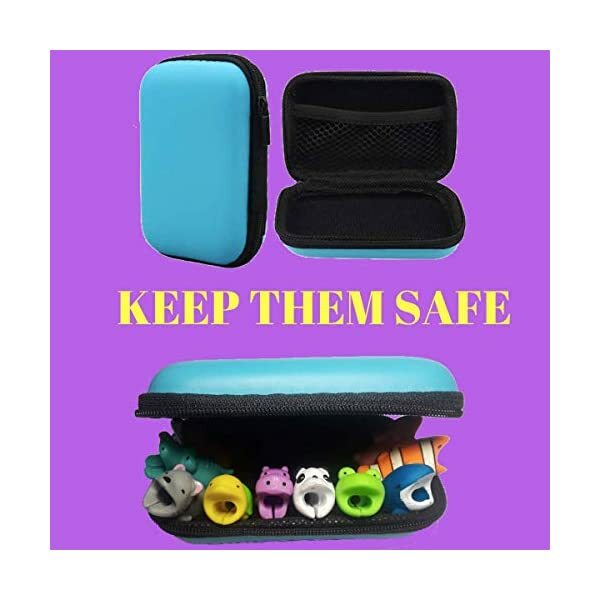 Even if our cable protectors are durable animal bites, they are not completely indestructible, so rest assure that we chose to use the safest adhesives & materials to be had as opposed to the strongest.